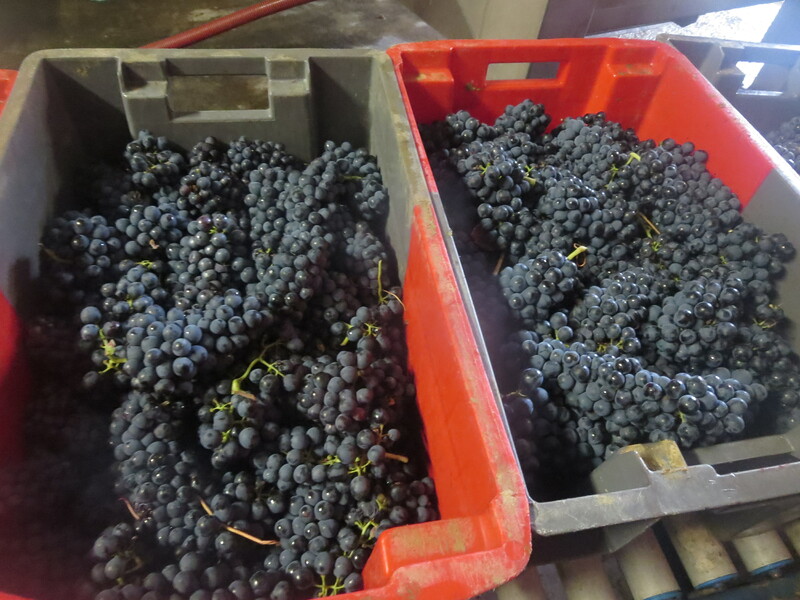 There will be one more vendanges diary entry as the parcel of Muscat awaits, ready to make some sweet, delicious wine. 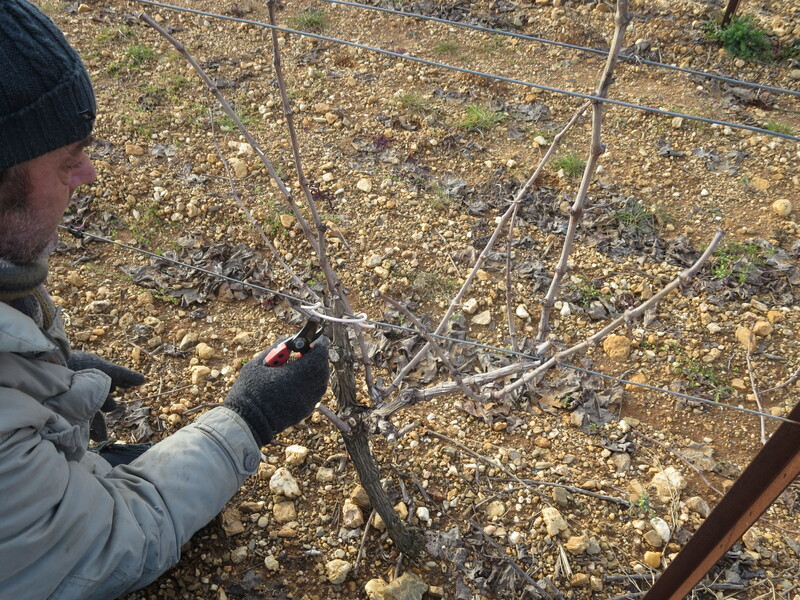 However, after a month of work, the grapes are nearly all gone. 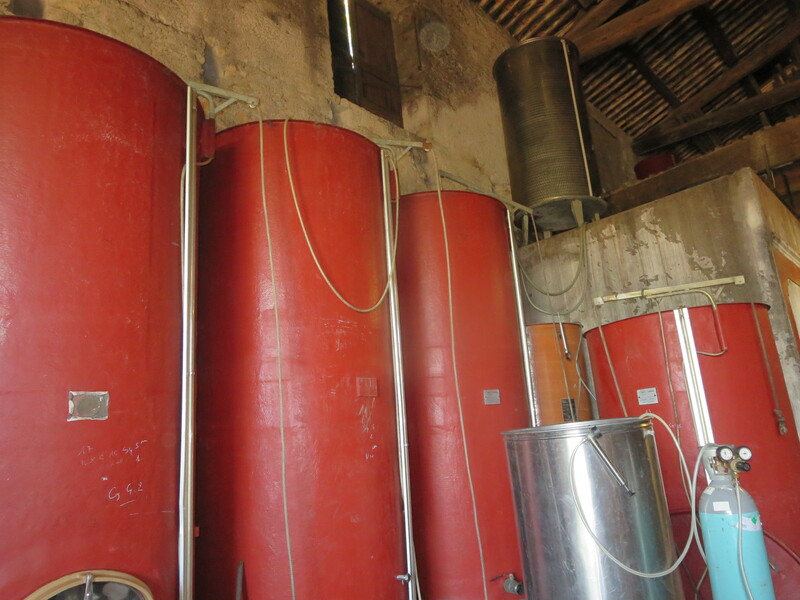 Their juice lies quietly fermenting or sulkily just waiting in the tanks. So what have I learned from this month of effort? 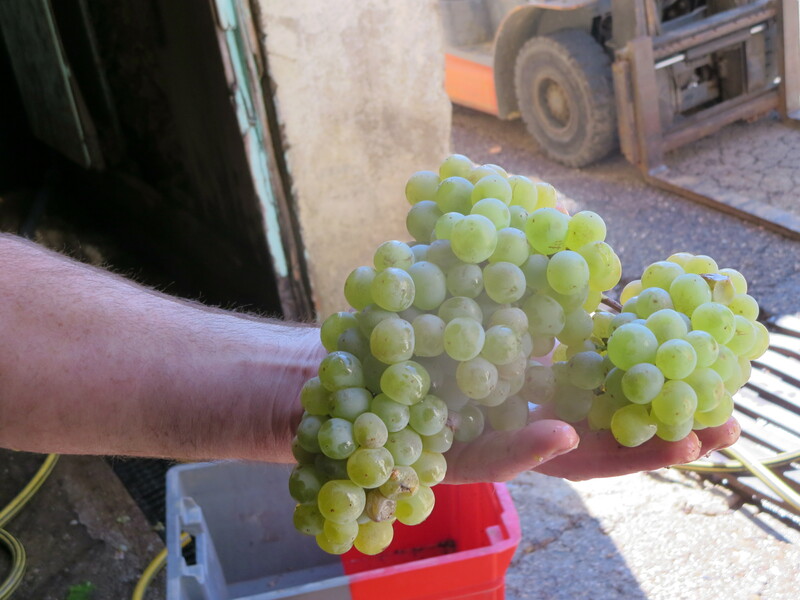 Well, reflecting on it I remembered last year’s vendanges and a video. Both are linked below. The title I used then seems, a year later, the right one so no apologies for using it again, though in French this time. 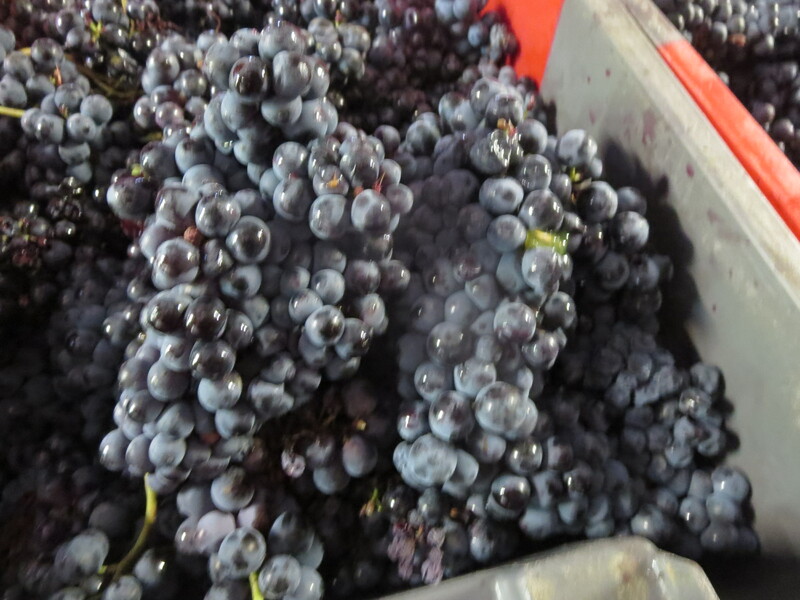 The main feature has been the grapes themselves. It was not the easiest year for growing in terms of weather. Strong winds at flowering damaged some vines, a real heatwave for a month in June/July with months of dry weather too, then rain just as harvest began. 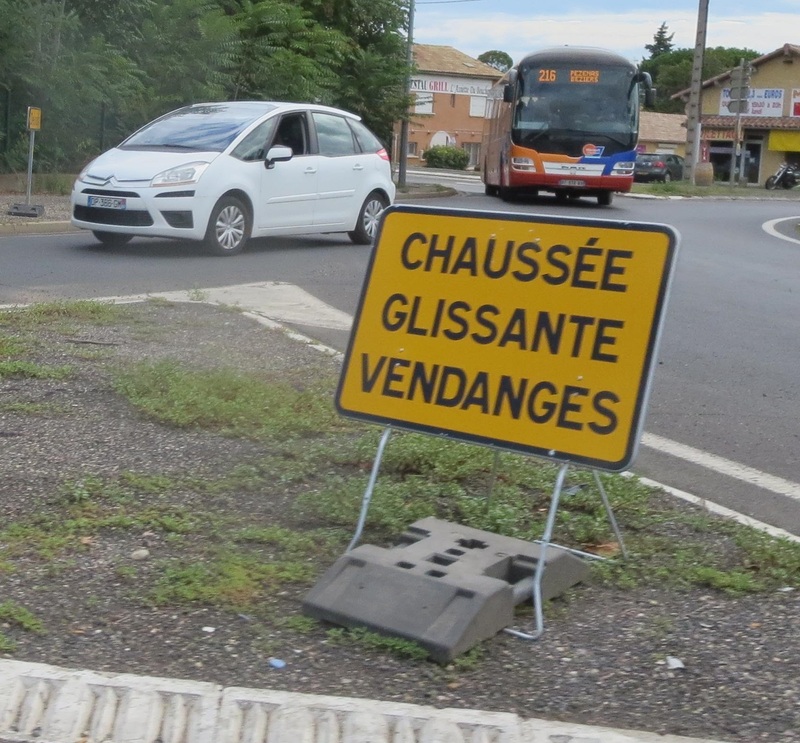 There have been moments of doubt, it has been a slippery road as this Pézenas road sign suggests. The berries were small and perhaps lacking in some acidity as harvest approached and then the rains threatened rot and damage. At times the tri had to be severe both in the vineyard and in the cellar. And yet. 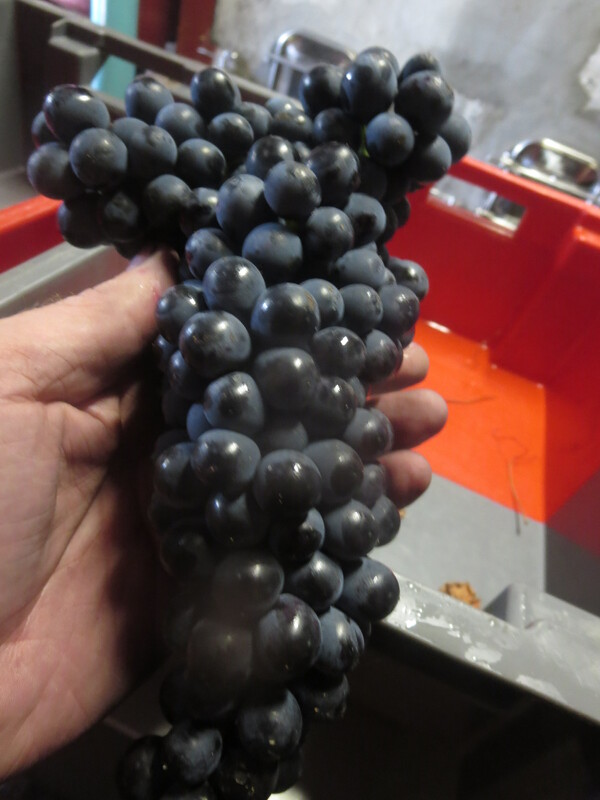 I remember beautiful bunches of Syrah, of Cinsault (almost 1kg in weight some of them), Cabernet Sauvignon and Muscat. In particular I remember some champion Carignan and magnificent Mourvèdre. Much needs to be done with vinification but, happily, the wines they produced are already showing the same quality, promising some great 2015s. Even when the juice was in the cuves it misbehaved at times, like naughty students in a classroom. 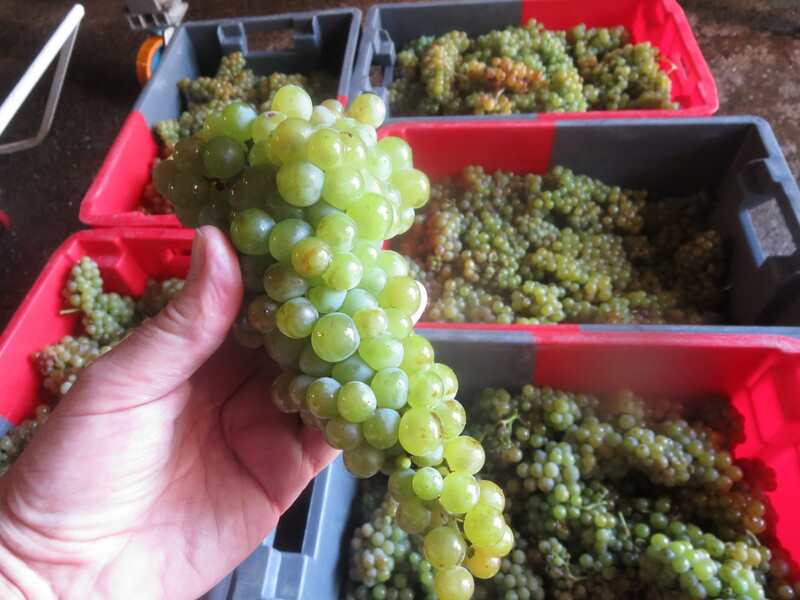 There were moments when volatile acidity threatened and then when acidity was low. Through it all Jeff kept his head. And I recall his words at the time, “Il faut avoir la confiance en les raisins” / “You have to trust in your grapes”. 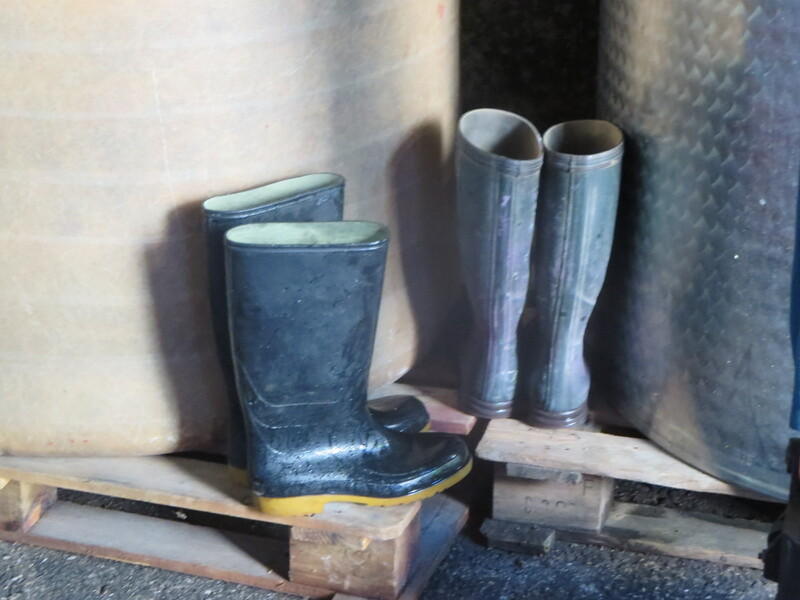 No clever tricks, no resorting to sulphur dioxide to act as a safety net – just have faith that the work that has been done in the vineyard over the last years and recent months will bring healthy grapes which will make healthy wine. 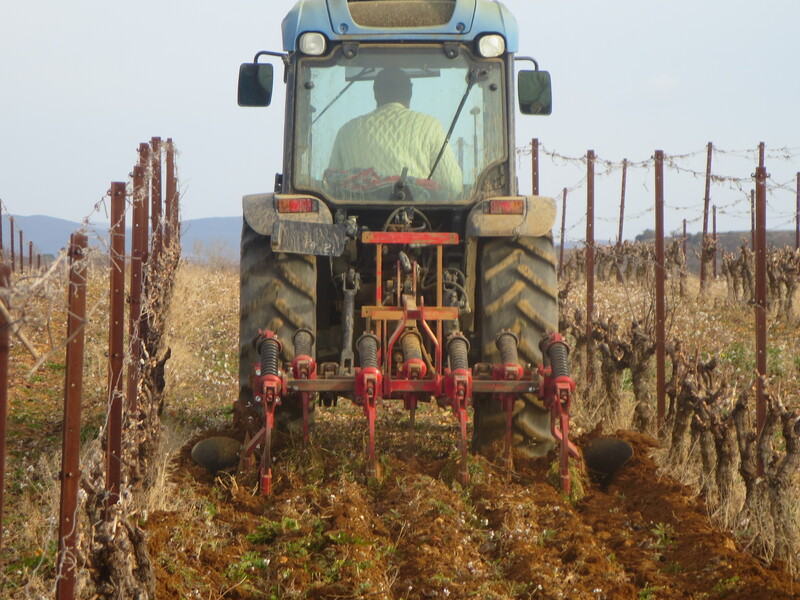 The pruning (taille), ploughing (labour), careful spraying at 3 in the morning – all of this effort leads to the grapes being able to produce high quality wines. Like a winner of the Tour De France you don’t just turn up on the day, it takes months of planning, training and hard work, so too the vigneron who produces top quality wine. And that faith has been rewarded, any problems have sorted themselves out, with a guiding hand from time to time. That means hard work and this is the second lesson I have learned. 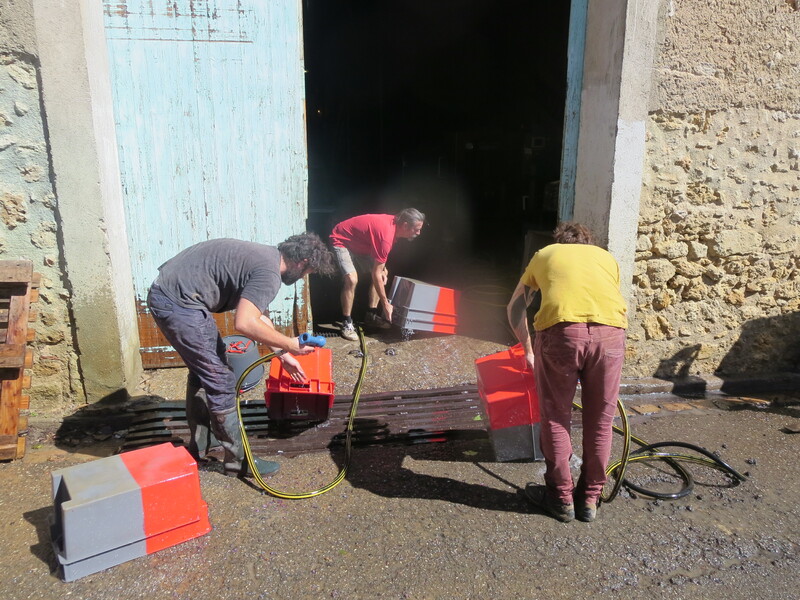 The vendanges are hard work. There is a glamour to them. 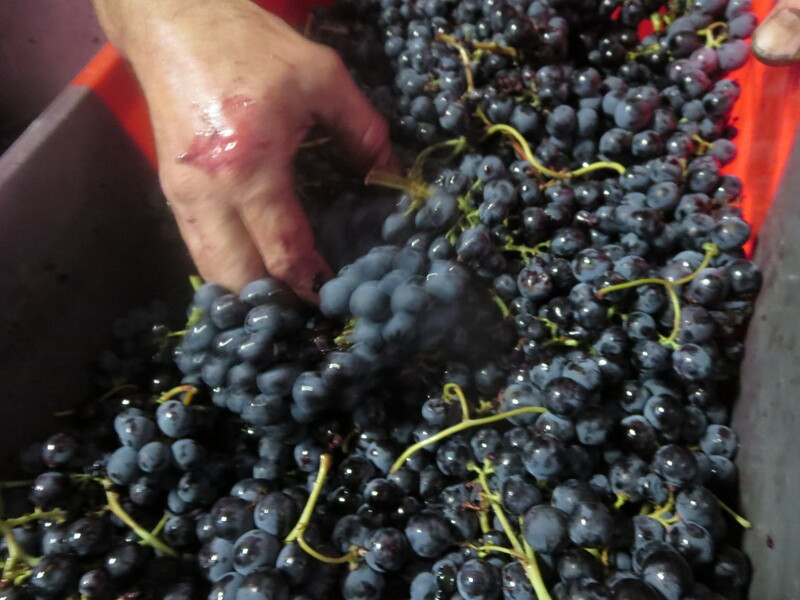 As an enthusiastic wine amateur I often used to think how nice it must be to take part in the harvest. 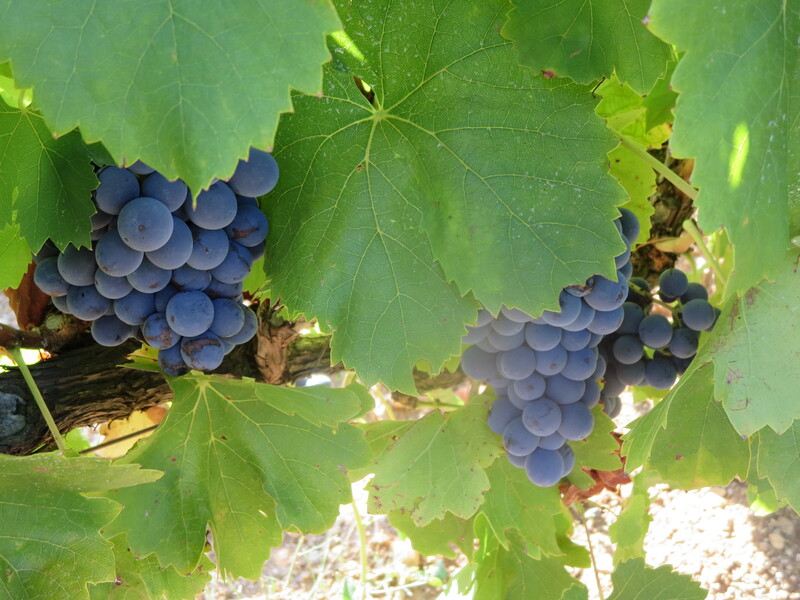 Sunshine, grapes, drinking wine – idyllic. The reality is all of those things but it is not all idyllic; it is back breaking, physically gruelling, hard work. 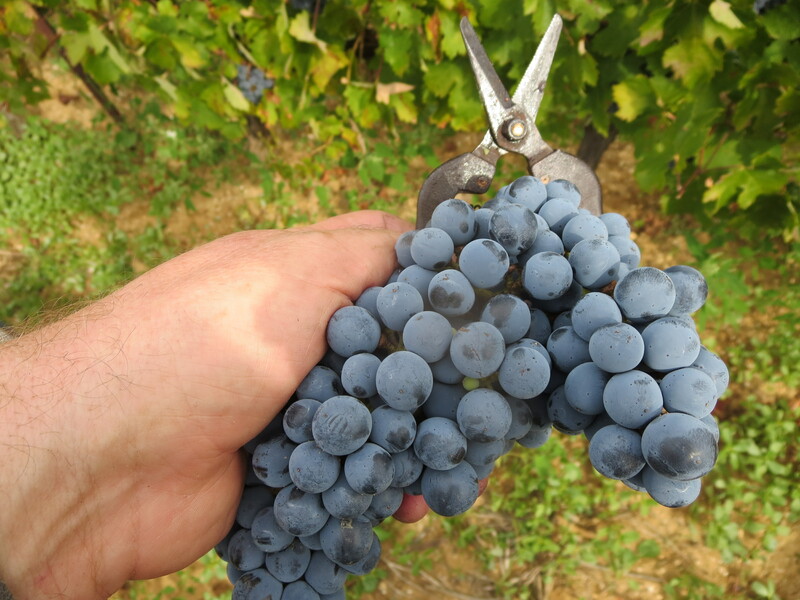 Picking means bending over vines, insect bites, whilst trying to not cut your fingers instead of the grapes. 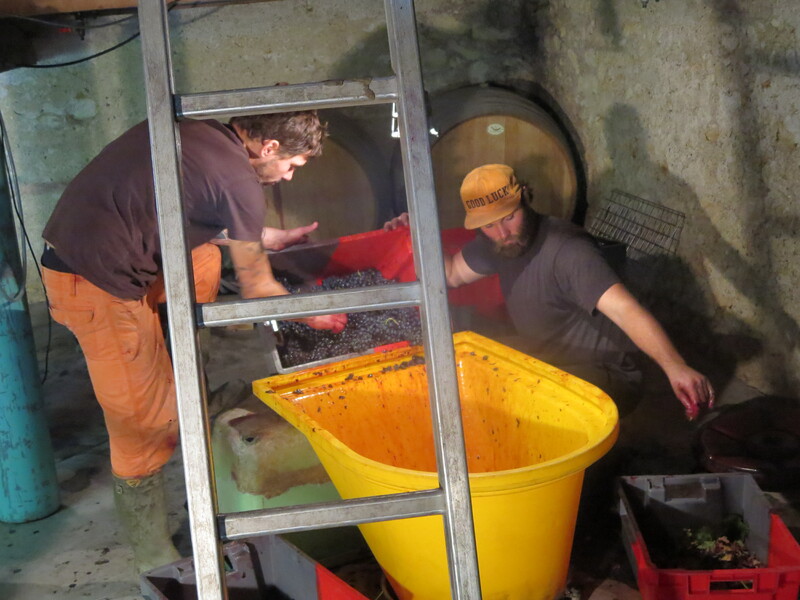 In the cellar, long hours of standing to sort grapes, lifting and carrying heavy cases and twisting around with them, sometimes in confined spaces. The heat above a tank is tiring and sweaty. The drenching as you clean everything again and again. And I worked less than most. 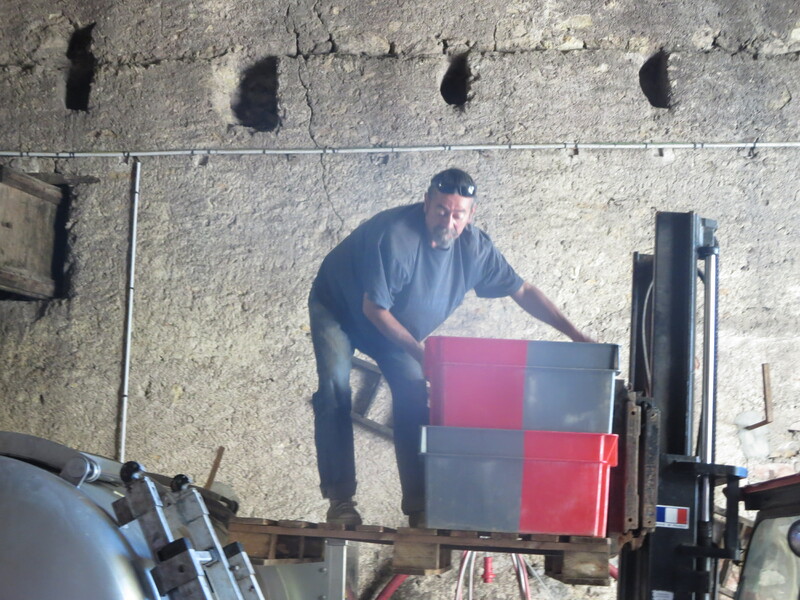 Add in all those hours of vineyard work, the background work in sorting the equipment, labour, paperwork and then the pressure of making the right decisions – you have to love this job to make a success of it. And love is the third and final part of my lesson. 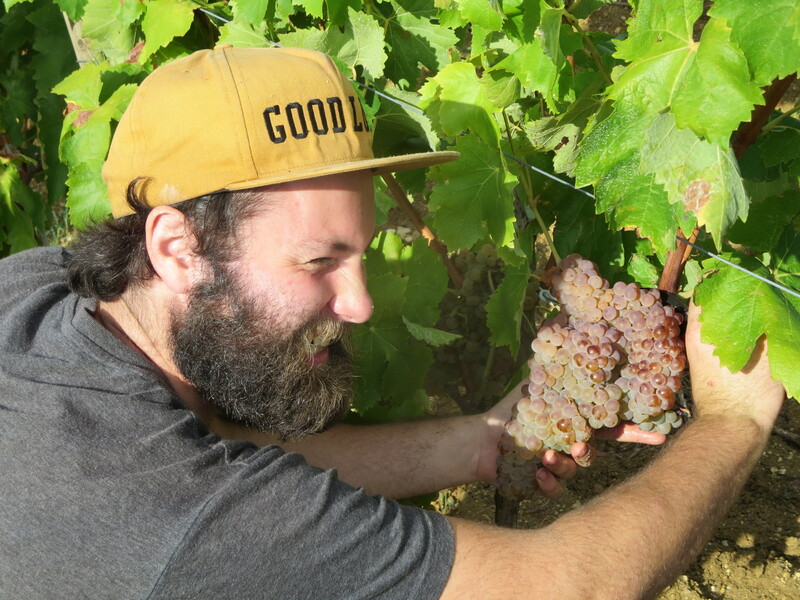 The love which Jeff has for his vines and his commitment to making them the best they can be in order to produce the wines which people around the world will love. 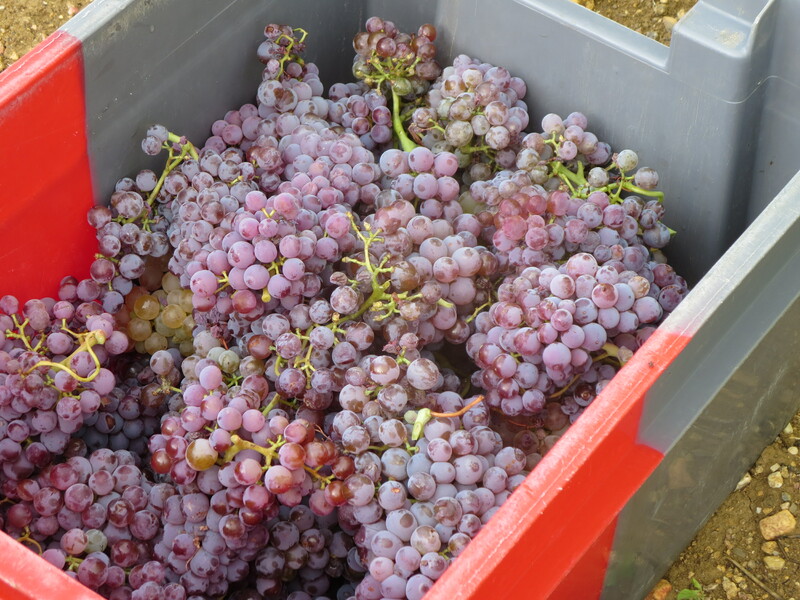 It is no coincidence that during the harvest we welcomed many friends who arrived to spend a few days with us, to play their part in the vendanges. They do so because they love the wines and they are friends of Jeff. 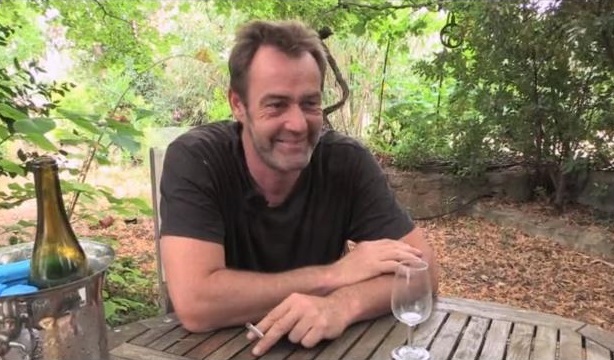 He makes his wines to share, the best wines are those which you share with other people. 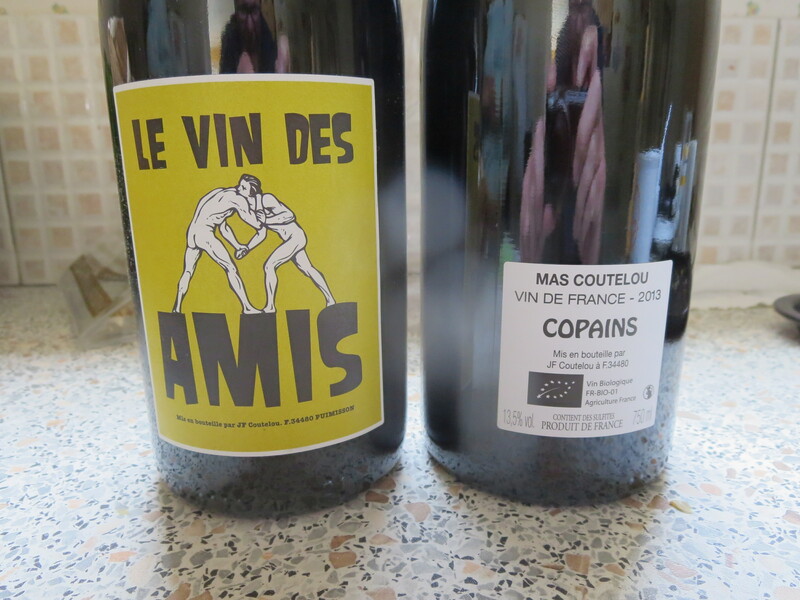 Le Vin des Amis! Copains! the names of the cuvées tell a story. Remember the story of the Chaud Doudou from last harvest? 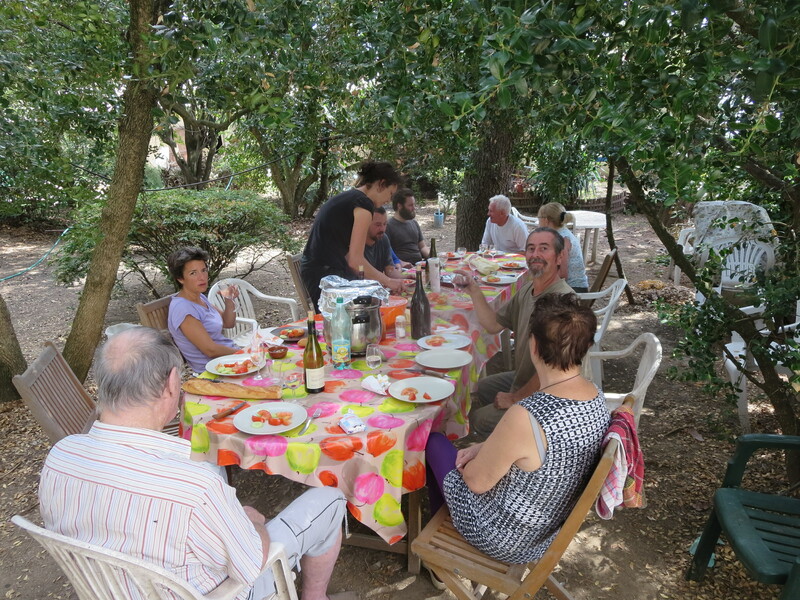 Well, I have been lucky to share the experience of the vendanges with a fantastic group of people over the last month. 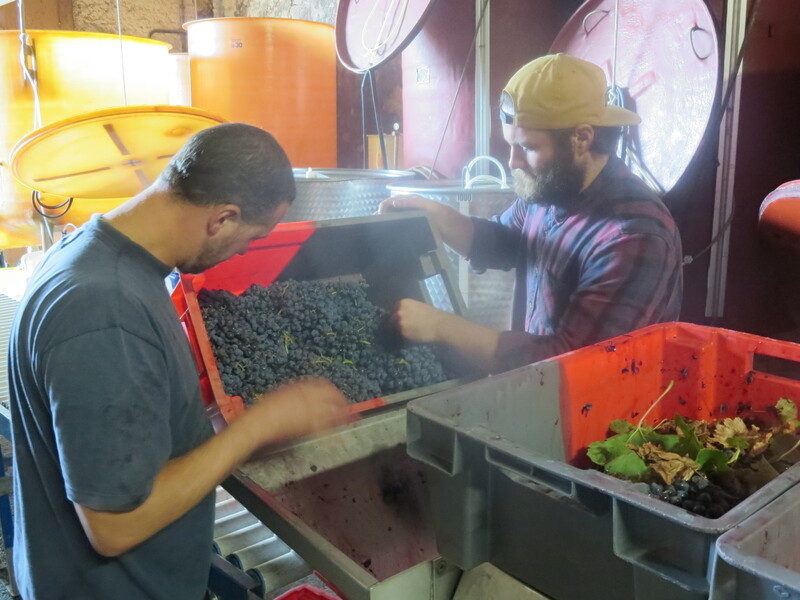 The camaraderie and friendship are part of the process of making the wine. And that spirit vanquishes any aches and pains. So, grapes, work and love. And if you don’t believe me, have a look at the video on this link to the excellent #QCQBM website. It is in French but the message is clear. Grapes. work and love. Categories: Vignerons, Vines, Wines | Tags: Cabernet Sauvignon, Carignan, Cinsault, labour, Mourvedre, Muscat, ploughing, Syrah, taille, tri, Vendanges | Permalink. Simply wonderful but my back would not take it. David, if you can do just picking in a team with a good “porterage” service then the the back will be spared any lifting. One (young) guy on our team could carry two cagettes on his shoulder. I can carry one cagette or two buckets but really need to be warmed up muscle wise – something that can take many minutes these days. Two cagettes is good going! I can manage to lift two over a short distance but not on the shoulder! Crikey.